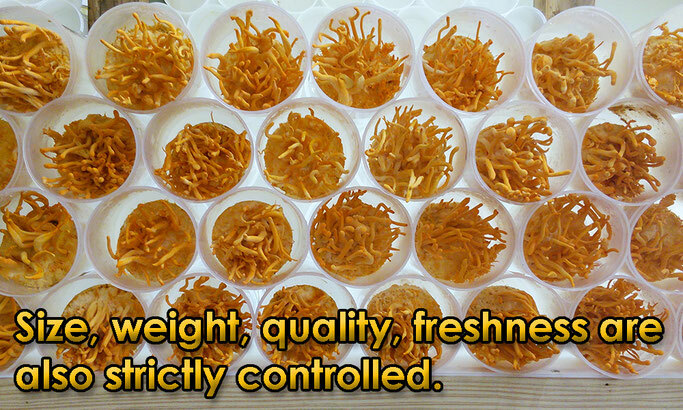 Tochu kasou (cordyceps) has been famous for highly nutritional mushroom in the oriental world. The production has been limited in the narrow mountain area in Tibet, and it had been so expensive. In addition to the price, the fact that tochu kasou is made from insect had creepy image on consumers for a long time. 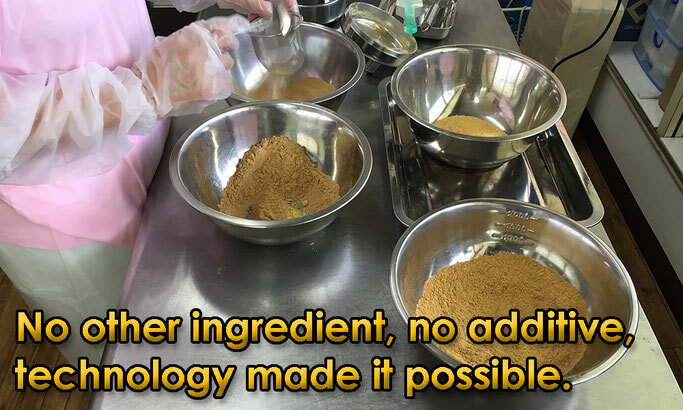 However, producing 100% tochu kasou powder without depending on insect became possible in Japan with utilizing world first technology, in Amakusa city, Kumamoto. One of the most popular, famous nutritional mushroom powder is now available in the reasonable price. 1. Highly nutritional bacterial bed nurtured with ant extract. 2. 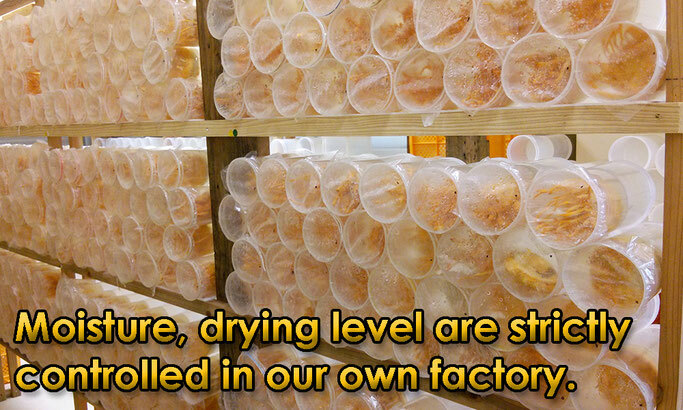 No insect usage in whole production process. 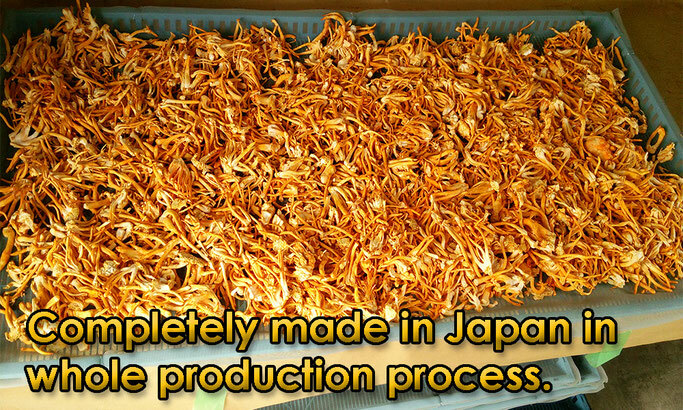 Our tochu tensou germinates from strain bacteria so we don’t depend on insect at all. 3. 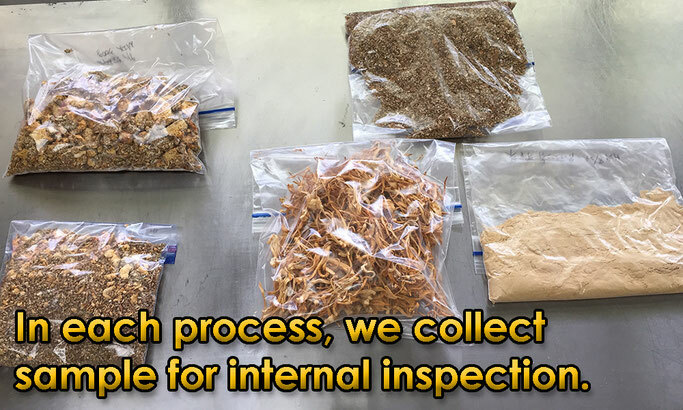 Reasonable price with 100% pure powder of cordyceps because we could develop ideal environment for cordyceps. 4. Original nutrition is preserved with the same amount of natural cordyceps. 5. Nutrition test report has proved tochu tensou contains same amount of cordycepin (nutrition), it proves tochu tensou is real cordyceps. I have drunken tochu tensou with yogurt. At first it tasted oriental medicine, but I kept drinking in many ways, now I found drinking with hot water and drinking with yogurt are good for me. I’m doing a sport, I’m expecting my score in the next match after drinking tochu tensou. I’ve played swimming for years. Recently I felt I lost my energy sooner than I used to be. After I started drinking tochu tensou before and after swimming, now I feel I got tougher, and I could reduce my fatigue after finishing swimming. 1) 1 spoon of tochu kasou powder (1g) before every meal. 2) If you are healthy, 1 spoon/day is enough. If you have disease, 3 spoon/day is suggested. 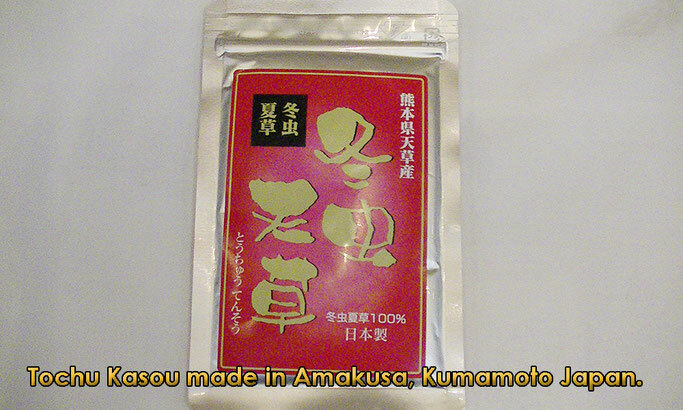 3) You can add tochu kasou 1g powder in soup, but please don’t heat it too much. If you add it in soup or water, normal temperature is recommended. 4) Tochu kasou is especially good when taken with vitamin A, C, E.
5) We don’t suggest baby and pregnant woman to drink tochu kasou. We don’t suggest baby and pregnant woman to drink tochu kasou. 1. What is tochu kasou? A: Tochu kasou is a species of mushroom, it literally means “winter insect, summer grass”. It parasites on insect in winter, absorbs nutrition and germinates in summer. 2. For what purpose is tochu kasou used in Japan? A: Tochu kasou has been regarded as the most luxurious, premium ingredient in the oriental medical treatment. Although our tochu tensou is not a medicine, countless benefits such as anti cancer, anti tumor, anti oxidant, enhancing blood circulation, enhancing bowel, reducing sugar content in blood, revitalizing sexual energy, diet, reducing fatigue, anti inflammation, enhancing immune, smoothing skin texture… had been reported so far. Tochu kasou is still premium product for normal consumers, and it had been so expensive due to limited supply. 3. What kind of technology made it possible to supply tochu kasou in the reasonable price in bigger production? A: Gikoku-tashi-ari (Polyrhachisviva Roger), a kind of black ant has amazing physical power that can bear 300 times heavier load on its small body. 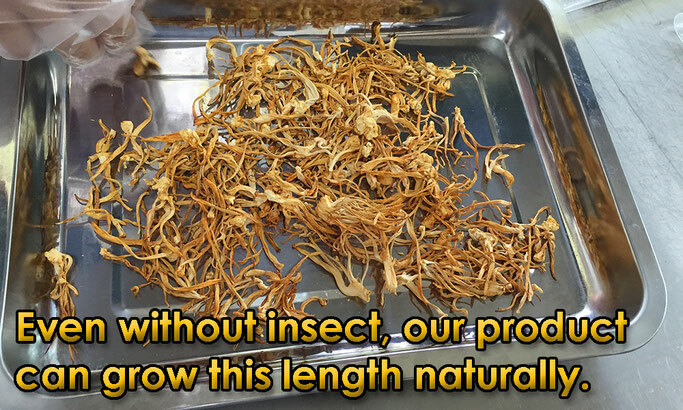 We, Amakusa Midori Farm Co., Ltd have been succeeded in letting tochu kasou mushroom absorb this ant extracted essence in high contents. 4. Does it smell like insect? A: No, not at all. 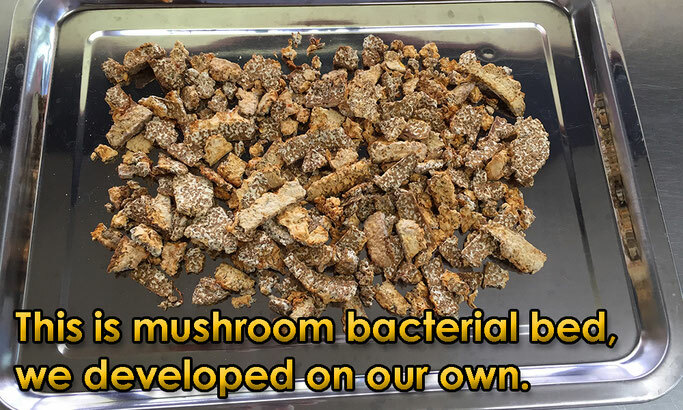 It smells like normal mushroom powder. 5.Does it contain any chemical additive? A: No, not at all. If chemical additive is used, tochu kasou can’t survive. 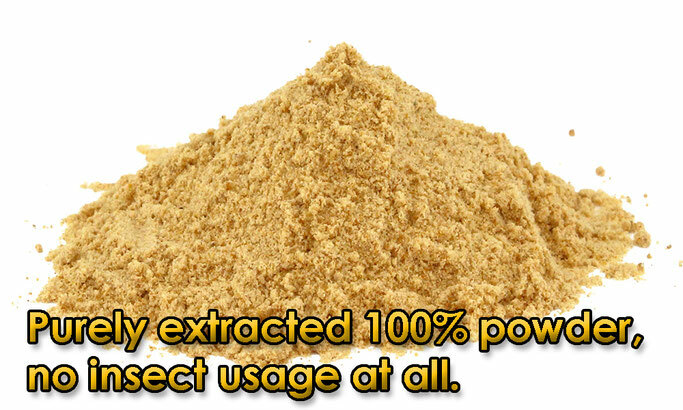 And the ant extract essence itself is powerful enough, we don’t need any additive to harvest tochu kasou. 6. Why is it so cheap compared to other existing tochu kasou products? 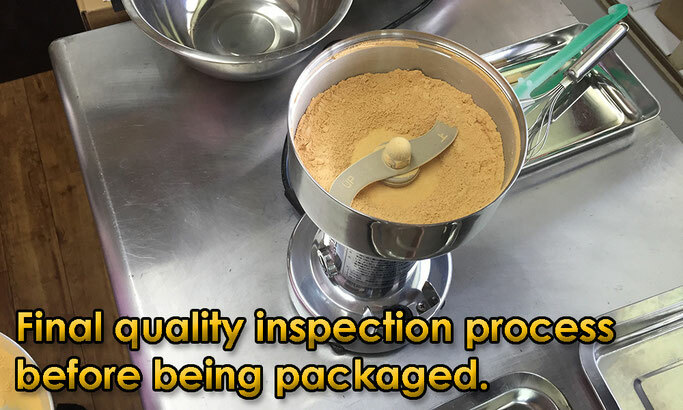 A: Our technology made it possible to supply real tochu kasou powder in high quality with reasonable price, in stable production.